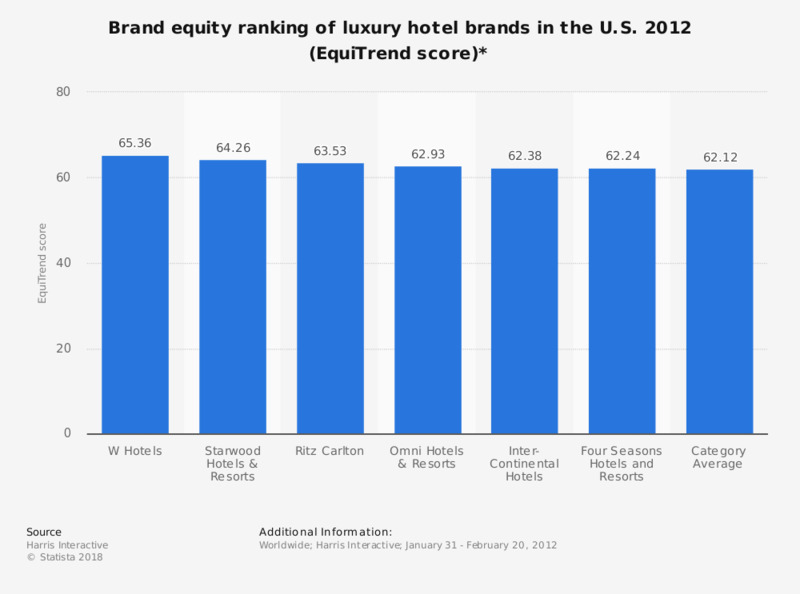 The statistic depicts the EquiTrend ranking of luxury hotels in the U.S. in 2012. W Hotels' EquiTrend score is 65.36 in 2012. Conrad Hotels & Resorts and Waldorf Astoria Hotels and Resorts (not included in this statistic) ranked below the category average.